Bizarre Tail of Casino-Cheating-Robbery aboard Cruise Ship while docked in Greece. 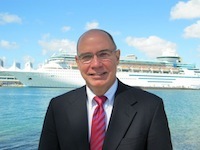 The online news account posted by a maritime lawyer reports that two Bulgarian men aboard an unnamed cruise ship won over a million dollars in the ship's casino and were later robbed of much of that money by two cruise ship officers, who then said that the Bulgarians cheated to gain the money and they were simply recovering the ill-gotten gains for the cruise line, which is not identified either. Sounds like a bad movie, right? Local Greek police supposedly arrested the two cruise ship officers, who claimed they committed no crime. My first question is: Did this really happen? My second is: Why is this being reported by Jim Walker, a partner in the maritime law firm Walker and O'neill based in Miami? Perhaps it is just a ploy to gain some business. But what I am really wondering is whether or not this happened? If it really did, it is a major story...and I would sure love to know how two guys cheated a cruise ship casino out of more than a million bucks! Cruise ships are not generally known for even legitimate action that could result in such winnings, besides maybe slot jackpots. So if anyone out there can enlighten me about this story, please do! 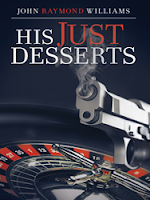 New Novel Lauches Casino-Cheat Main Plot! I have always thought that casino-cheating would be a good backdrop if not a main plot for literary thrillers, and now one has finally hit the bookstores. 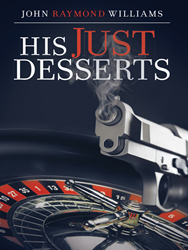 It is called "His Just Desserts" and the author is John Raymond Williams, whom I imagine has an intricate knowledge of both casino-cheating and casino surveillance. In any case, go here to read the plot. For me it is a must-read! Just go to Marina Bay Sands Casino in Singapore. As just about any casino and non-casino fraud in Singapore somehow ends up at Singapore's Marina Bay Sands casino in Singapore, why not use it to convert your illicit fraudulent gains into cash via that casino's gaming chips? Apparently it has already been done. 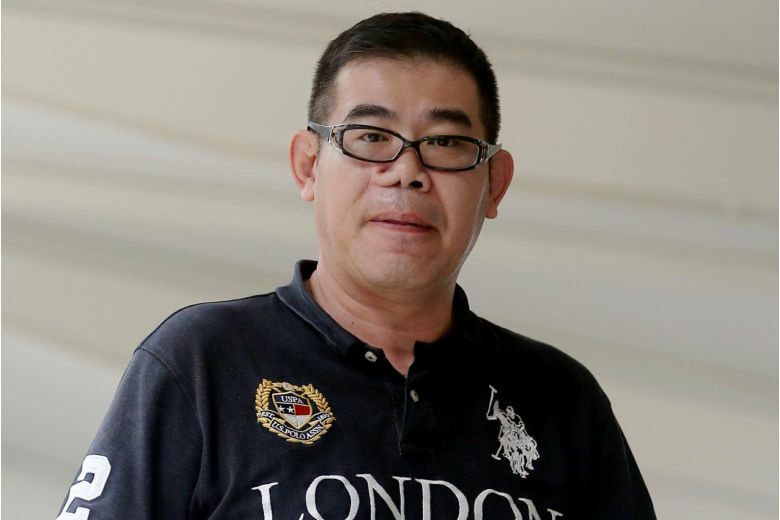 Mr.Reichie Chng Teck Kian, a 51 year-old former grassroots volunteer from his congressional constituency in Singapore and now a cabdriver, allegedly pulled off a fraudulent investment scheme against twelve people by using WhatsApp and screenshots to create a false electronic history of his dealings with well-to-do business people throughout Asia. He then convinced his victims to invest with him in various business and property schemes. The total amount of his fraud was in excess of a million dollars. So when he had the problem of washing the proceeds, he turned to the criminal haven known as the Marina Bay Sands casino. I don't know why but he turned his criminal proceeds into casino chips and then probably back into cash. According to court documents, Kian has made more than $50,000 in restitution, but still faces up to 10 years in prison. My take: Well, if you can't figure out a way to casino-cheat the Marina Bay Sands, it is always there to help you launder your money from whatever criminal enterprise.